Those looking to beat the heat during their stay in Sydney should visit the Wet’n’Wild water park. As the largest water park in New South Wales, Wet’n’Wild is the perfect location for a day of fun! For thrill seekers, the water park offers a range of jaw-dropping water slides and a range of family-friendly slides and rides as well. Experience some of Wet n Wilds most exciting slides; such as the 360Rush, Aqua Tube, Bombora, Double BOWLSeye, H2GO Racers, Riptide, Tantrum, The Curler, Tropical Cyclone and Half Pipe. For families and younger children, check out Wet’n’Wild which features kid-friendly slides, miniature versions of the larger thrill slides and splash zones. If thrill rides aren’t your thing, then rent one of the cabanas at Wet n Wild and enjoy a relaxing day as you recline in the shade in your own piece of paradise. The cabanas come with sun lounges, chairs and a secure locker where you can leave your valuables. Enjoy lunch and a cold drink, or if travelling in a larger group, they are a great meeting place to catch up during your day in the sun. Visitors are permitted to bring their own food into Wet’n’Wild; including sandwiches, fruit and water. However, hard-cased eskies are not permitted. 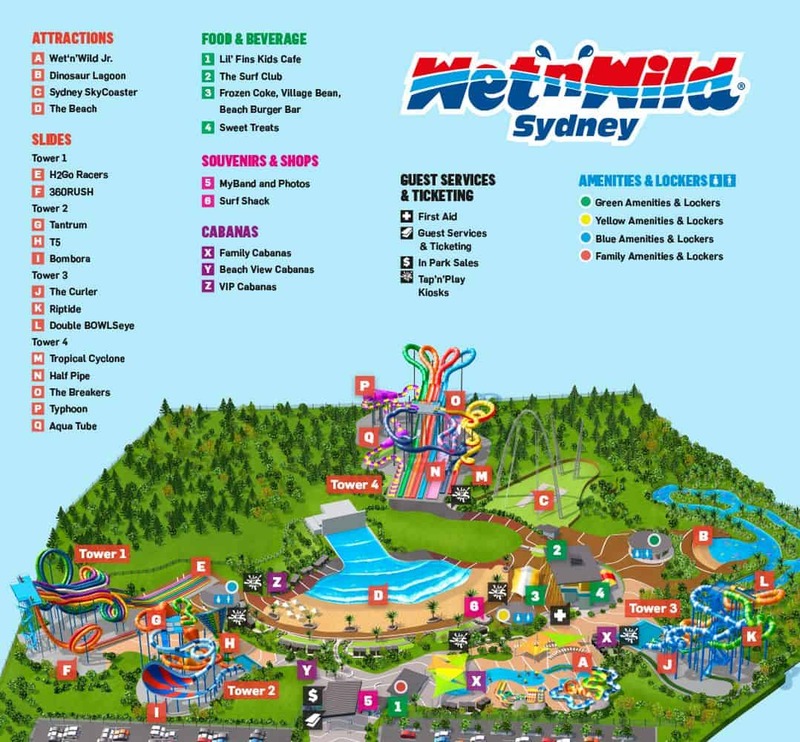 Wet’n’Wild is located just 40 minutes from the centre of Sydney, Wet’n’Wild Sydney is located off the M4. There are many transport options to Wet and Wild, including a shuttle bus which runs during select periods. 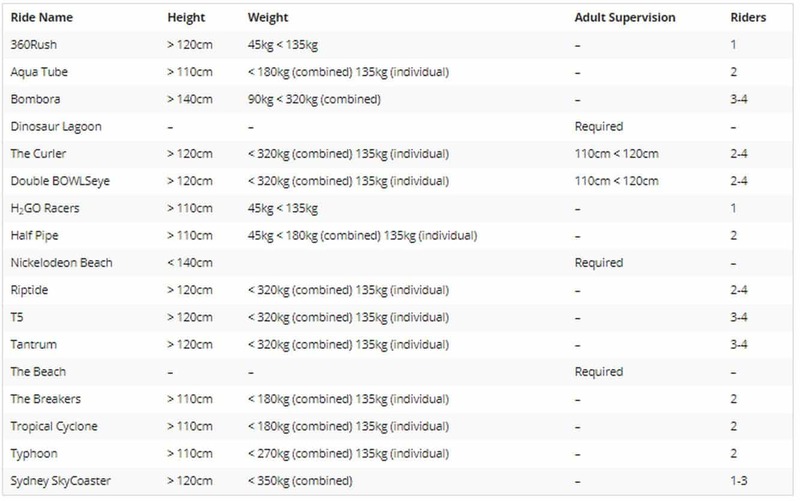 The bus service serves Parramatta, Merrylands, Blacktown and Liverpool areas, as well as surrounding suburbs. If self-driving, there is plenty of free parking located on site. Make sure you buy your discount tickets online and skip the queues!